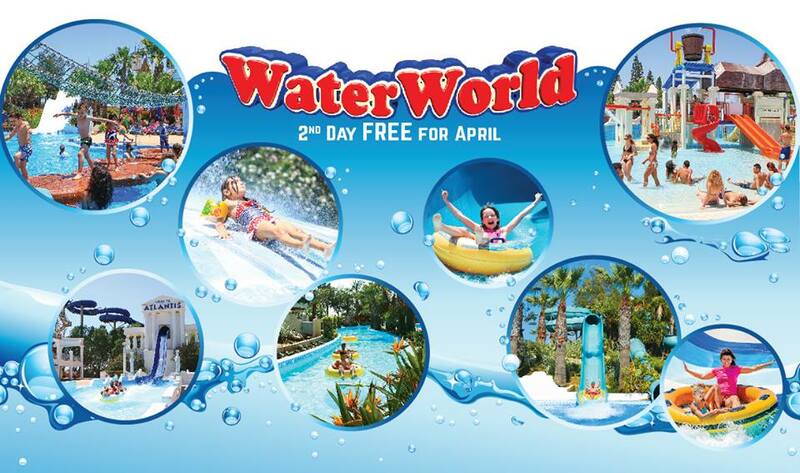 WaterWorld Waterpark Ayia Napa FREE Second Day visit for April 2017! Celebrating our opening on the 10th April we are offering a FREE Second Day visit. For every full price ticket paid get a 2nd day ticket for free which can be used in any day in April. Don’t forget to visit Customer Services upon your first visit to get your free ticket.